Why ambient? A math teaching style that’s whole and all encompassing, with themes that repeat many times through the years, is most likely to be effective and successful. 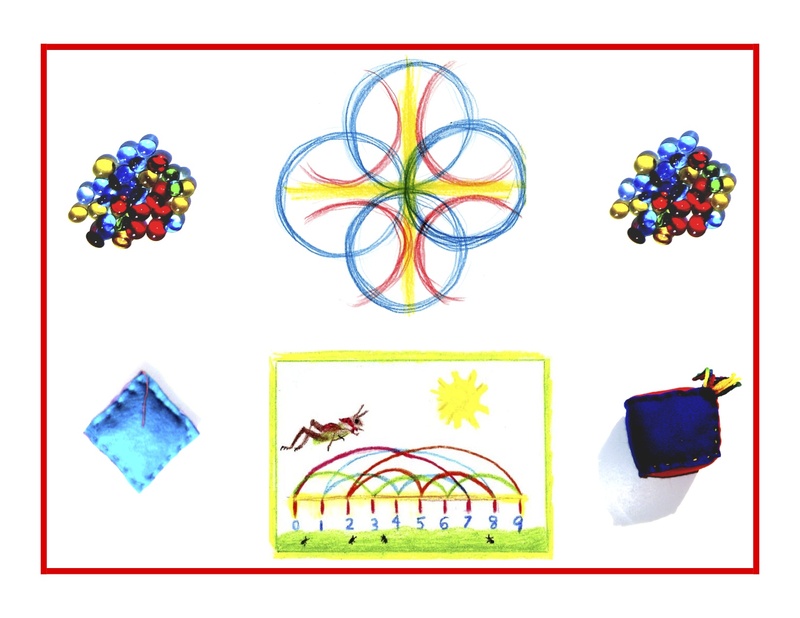 Today’s blog will focus on Kindergarten Standard 1, in Geometry. Note that the Common Core Standards will appear in blue, followed by an ambient translation. I’ve not been looking forward to “ambientifying” this set of Common Core standards because they require such abstract, objectifying perceptions and awareness. 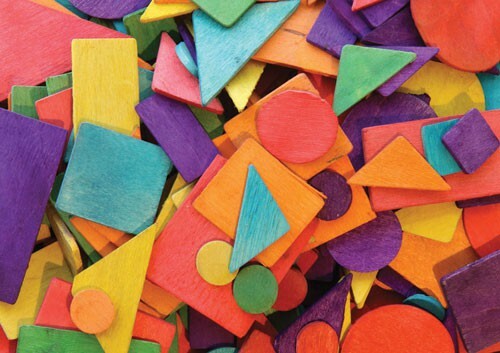 I searched the net for hands-on activities appropriate to this standard and found quite a few worksheets and plastic shape sorting sets. How to find something warmer and more person-to-personable? A Montessori approach may be a good place to start. Beginning with the circle, square, rectangle, and triangle, make a template for each one (around 4″ is a good size to start with). Use a cup or plate to trace the circle and either 1″ graph paper (or just a ruler and pencil) to outline the others. Cut out the shapes and use them as patterns to trace each one onto the back of medium grain sandpaper. Cut out the sandpaper shapes and glue each one onto its own base of mat board, cardboard, or even pieces of flat, smooth wood. Have your child(ren) watch and/or participate in this process as much as possible! Lay the shapes out on a desk or table top and invite the child(ren) to feel them. Say each shape while guiding hands over them, then add these to the play materials in the math corner. Practice this a lot, and soon the child(ren) will take up further exploring and naming. Make very large outlines of these same shapes on the floor or ground and have the child(ren) walk around their outsides, while you quietly say (or sing) the name of each shape. When the shapes and names have been absorbed in this sensory way, you can gently ask what shapes can be found all around, in everyday surroundings. After the shapes are pretty well known, you could play a “guess the shape” game. Fill a cloth drawstring pouch, big enough for exploring hands to fit into, with flat, wooden shapes (you can make or buy these, I found some nice wooden sets online). Have the child(en) reach into the pouch, feel and name the shape, then pull it out to see if it’s correct. Each wooden shape could be placed on top of its sandpaper counterpart for matching purposes. 1) Above and below: one child crouches on all fours with head down and says “below” in a muffled voice while another child straddles over with arms extended and says “above!” in a more exuberant voice. 2) In front of and behind: one child stands in front with hands on hips and says, “in front of” in a louder tone, and the other puts his hands on the other’s shoulders and says, “behind” in a softer tone. 3) Beside: the two stand with their arms around each other’s shoulders and say, “beside” together. After these concepts have been absorbed, say the words while placing objects in each of the positions. Knowledge ensues in an environment dedicated to imaginative, creative knowing, where student and teacher alike surrender to the ensuing of that knowledge as a worthy goal. More Kindergarten tomorrow!